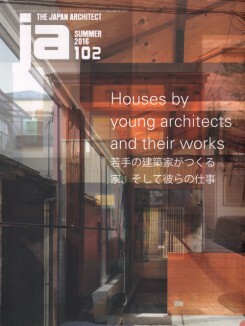 This issue introduces 62 individuals and groups of young Japanese architects born after 1975, as representing the youngest generation of architects. Presented here are their designs and finished projects for private houses throughout Japan. Tokyo, 2015, 23 x 30 cm, illustrated, 128pp, paperback.